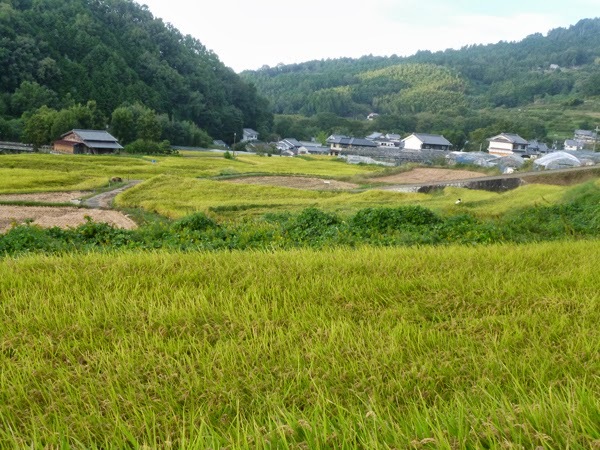 Wonderful landscape, Kumiko! 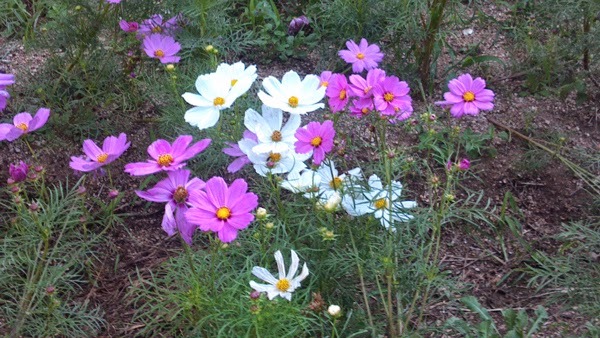 And the Cosmos flowers are nice too! 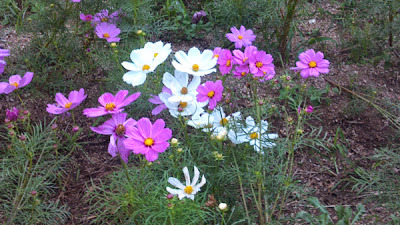 We also have Cosmos herebut I think our is a taller variety. I am still not very well with my flu. I wish you a nice Sunday! I like Cosmos,too.It's lovely flower. Oh,do you have the flu? 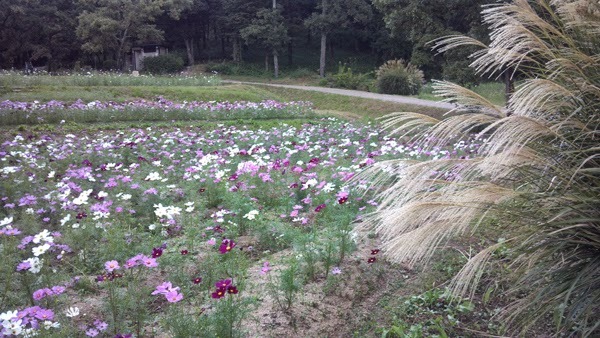 I hope you'll get well soon. Please take good care of yourself,Traveling Hawk. Thank you for posting this Kumiko-san. The colours are gorgeous. The fields of rice are beautiful . 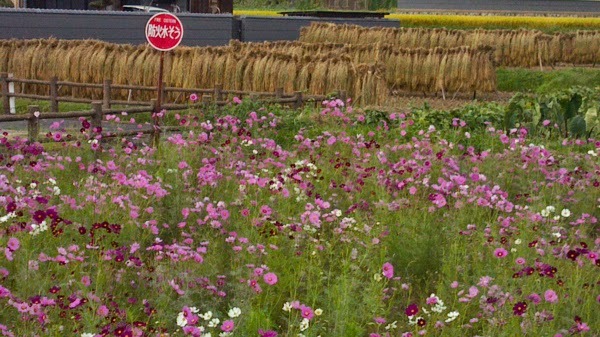 It's nice to know such places still exist in Japan. 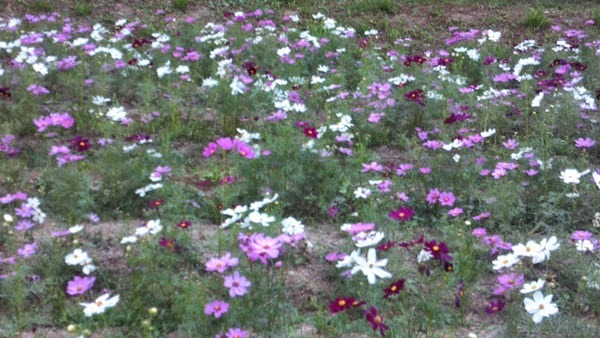 Do they grow cosmos commercially there ? 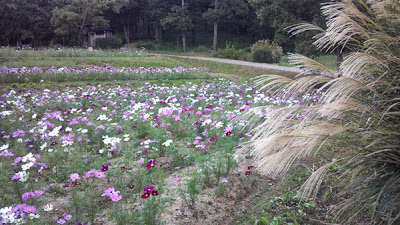 Yes,these sceneries are dissapearing in Japan now,but it still exists in countryside. 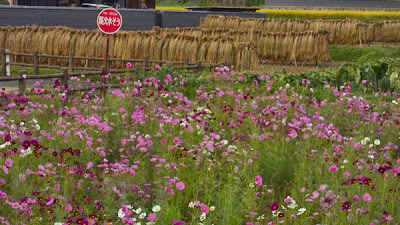 No.they are wildflower,not planted commercially,I think.